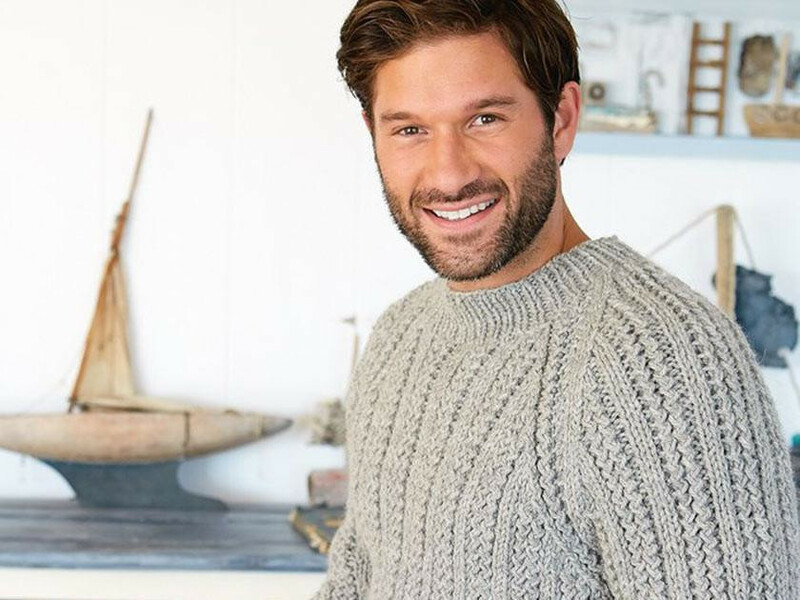 Is your next pattern project a men's knitted jumper? Something that'll keep them warm throughout the colder months, we're firm believers that handmade jumpers make lovely gifts for men. But we're all too aware that some men would cringe at the idea of wearing one - think Mark Darcy rocking a Christmas jumper featuring a red-nosed reindeer in Bridget Jones' Diary. Fortunately, we're here to help you change their minds. Follow our tips below and there's no way you'll find the sweater hidden beneath T-shirts in the bottom drawer - it'll be a garment he wears with pride. 1. Never choose a pattern that’s greater than your ability. You'll probably never get to complete it or it will just take you forever to knit and you'll struggle to get a professional finish. 2. Choose a design that has texture. It won't look shop-bought with masses of stocking-stitch, as only real experts can manage an even tension and smooth finish. Choosing a textured stitch is a better option as it disguises uneven knitting. 3. Make sure that you knit the right size and spend time to work out which will be the best fit. And we know it’s really boring but checking your tension means that you should get this correct. 4. Take your time when making up your garment. 5. Be sure that your men's knitted jumper is washed corrected so that it doesn’t shrink or stretch. Follow the yarn care advice given on the ball band. Any washable yarns should be turned inside out to keep them from pilling to a minimum. Otherwise you risk a misshapen mess a la Barbara Good's knitted sweaters in The Good Life. For more advice on washing wool, read our tips here.